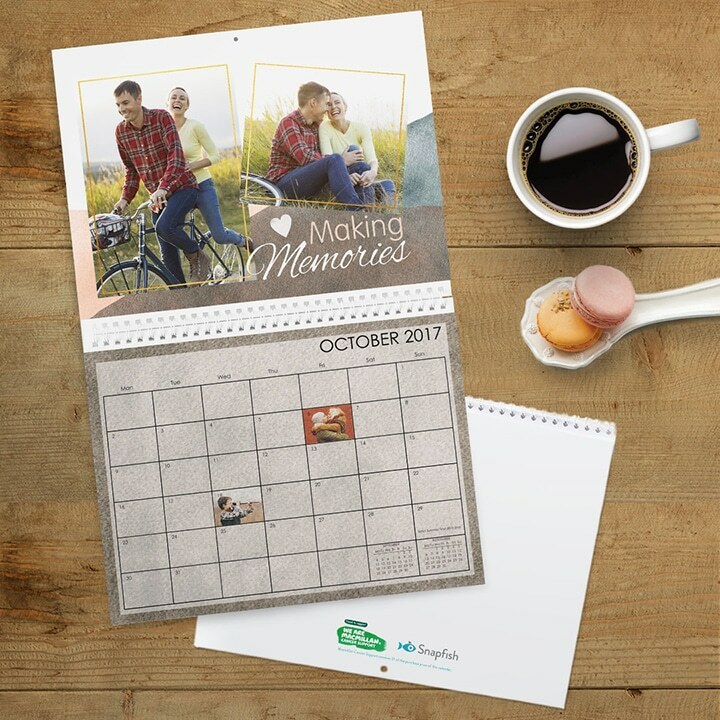 Capture your favourite memories from the year so far in a stunning personalised calendar for 2018. 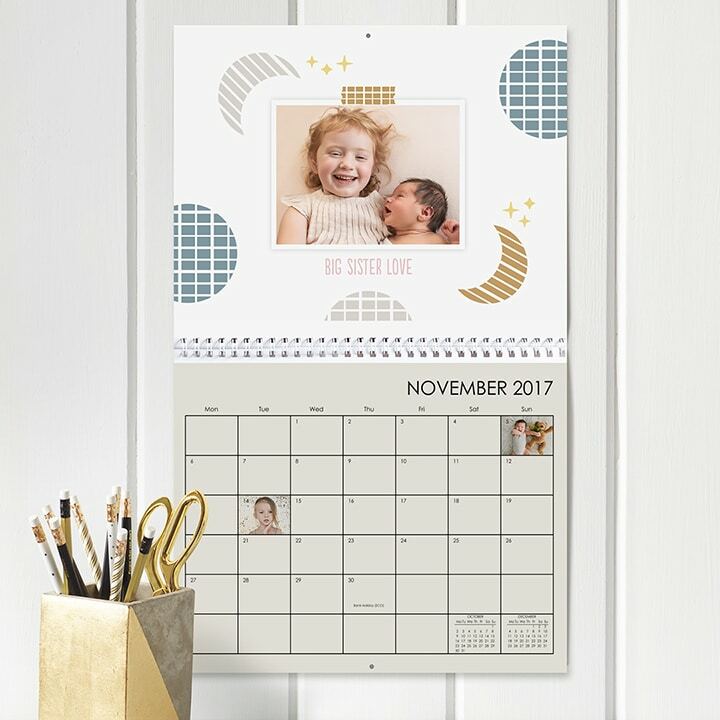 Personalised calendars make the perfect gift for loved ones, and are super easy to create. With a wide variety of designs available, we’ve chosen some of our favourites to share with you! The perfect design to showcase your baby’s first smile, first steps or first tooth. Guaranteed to be a hit with the Grandparents! 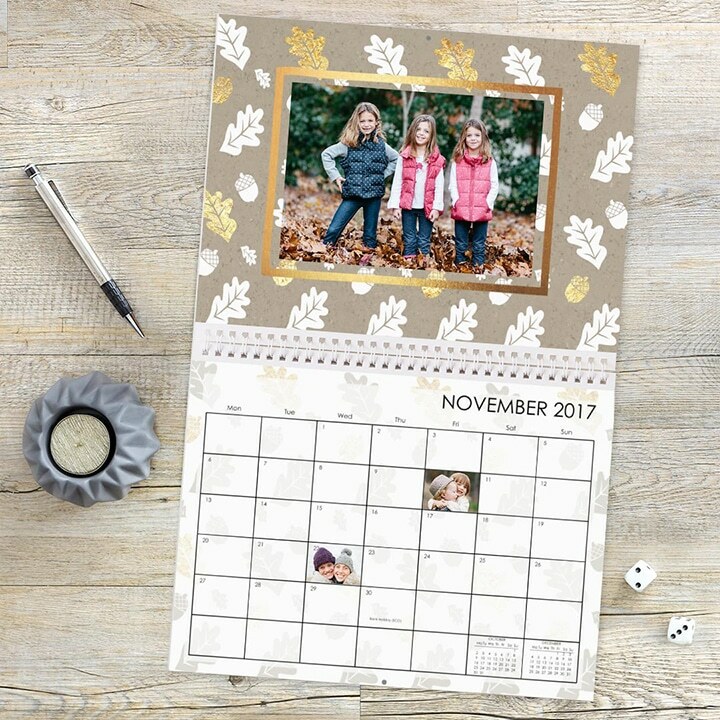 Feature your favourite snaps in our super stylish seasonal calendar design. 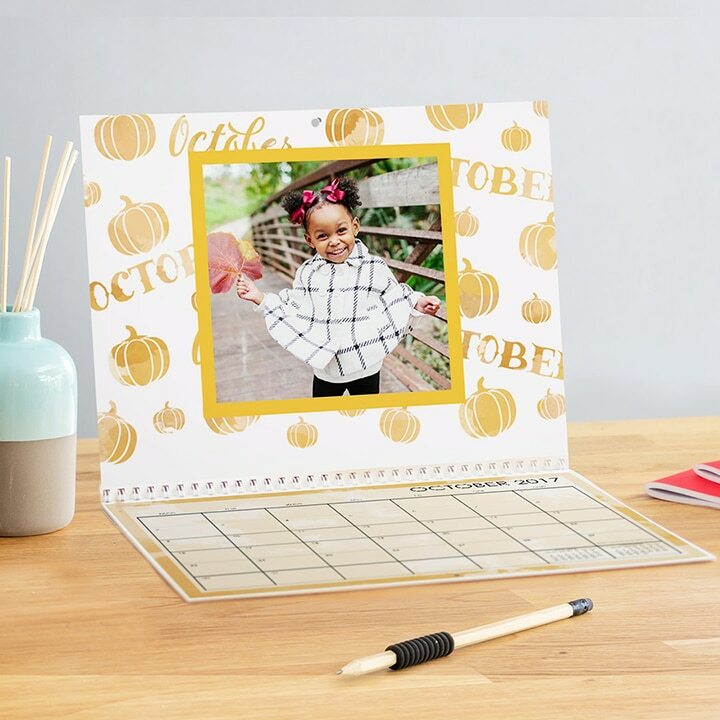 Each page decorated with a seasonal white and gold pattern on a simple craft background. Everyday Happiness boasts beautiful bright embellishments and background colours. 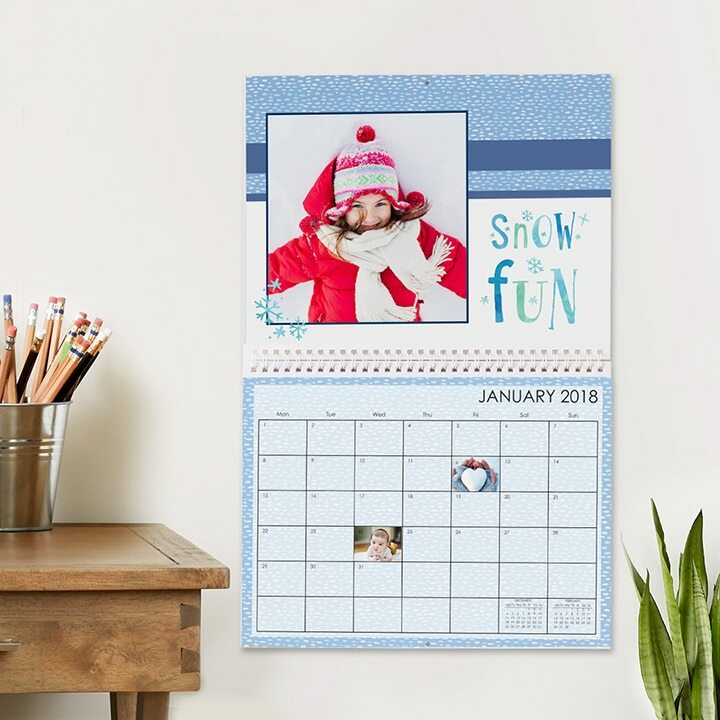 This colourful calendar design is guaranteed to brighten up any white walls. Featuring bright colours, watercolour doodles and whimsical lettering. 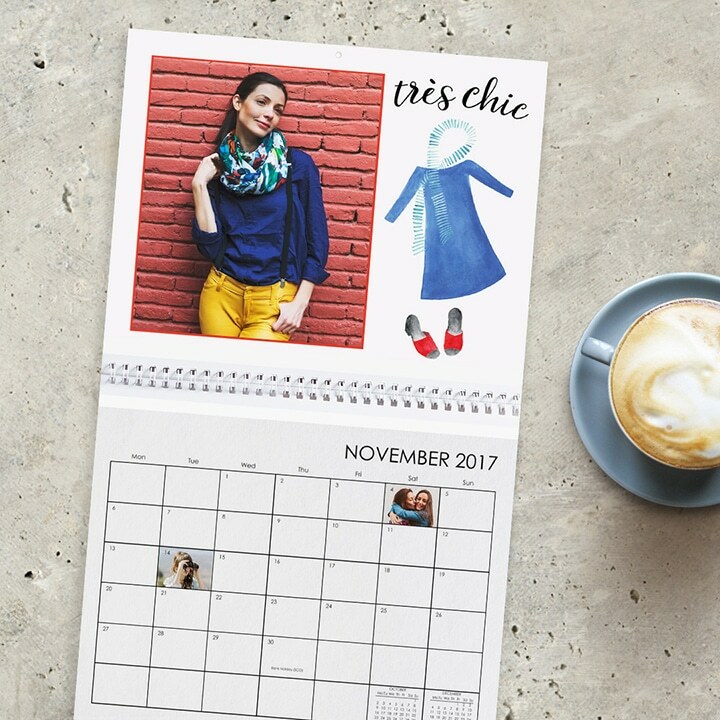 Wanderlust calendars are trés chic! Vibrant watercolour text and painted illustrations give your personalised calendars a fun, exciting vibe. Did you know, we’re working with Macmillan Cancer Support to raise money to support people living with cancer and their families. To do this, Snapfish are donating a portion of the sales from specially-selected products to Macmillan at no extra cost to you! You can find out more about the partnership by visiting our Macmillan Cancer Support page. 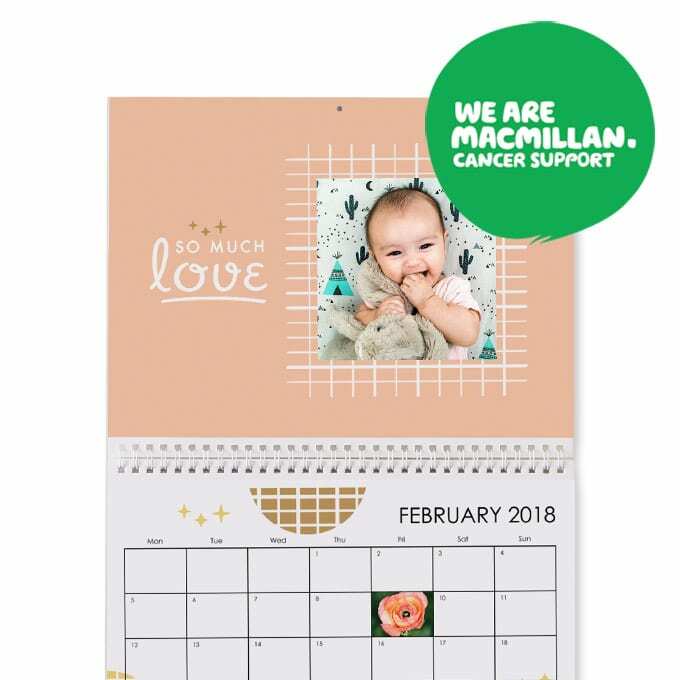 Tagged as calendars, Macmillan Cancer Support, photo calendar, snapfish uk.